On March 12th, Patch 8.1.5 brings an old player request to life: A Portal Hub for each faction capital! These new rooms are located in Stormwind/Orgrimmar and contain portals to many different major locations in WoW. Check out the changes inside. The portal room was suppose to clean up the mess in Orgrimmar and Stormwind while making things a tad more convenient, not make things worse. Like come on Blizzard, we’re losing more than we’re gaining with this update. I understand that changes can throw people off a bit at first, but I also think they help keep the world of Azeroth feeling alive. When there are fewer portals, does the world feel a bit bigger to you? Do you like that? How difficult is it to get to the locations you mentioned without a direct portal (talking to everybody who isn’t a mage here ) ? I do agree that it makes the world feel bigger. It is undeniably less convenient though. I agree, but how convenient should things be for everybody? Why do mages have portals? Should everybody just have the teleport abilities that mages have? I don’t think that’d feel right, heh. In addition, what about the legion artifact quests? I didn’t get a chance to verify it, but the plan was for the portals to show if you are on these quests. 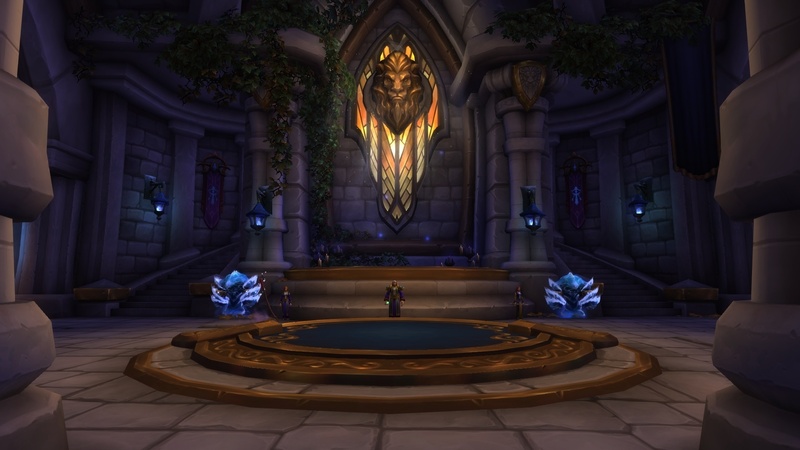 For the part that was brought up about things like Ironforge being removed from the BfA portal rooms, I don’t think that’s intentional and should be changed in future build. Thanks to those who have been providing the impact on their gameplay. The more specifics we have the better. Please try to include the specific location of the portal so I don’t get things mixed up. For those of you who have mentioned the Caverns of Time or Dalaran Crater portals, is this specifically about the Legion-Dalaran portals to these areas? I’m sorry. Sometimes it can be difficult to tell in a post without a voice, but … Is this sarcasm here or are you actually being serious? I wasn’t being sarcastic. Apologies to you and others who felt I was dismissing them in any way. For how I personally play and enjoy games, I like when I feel like I need to travel for a few minutes to get somewhere. For me, it is more rewarding when I complete the task that way and I wouldn’t want to be able to get everywhere instantly but there is a good medium to find (but continuing to pile up various teleporting items feels strange). Traveling over large areas reminds me of how vast the world is and I often reminisce while flying on a flight path or a mount. Sometimes I have even just used the port to Timeless Isle and taken the flight path to Shrine (instead of going straight there) as I can enjoy the view and relax. That being said, I know I can be a bit strange and I’m often not bothered by things that bother others - that’s why I ask a lot of questions. I want to understand the different play styles and opinions of others so I can better discuss them both with you and internally. Getting to the fundamental impact is important for me as the solution sometimes requires a different approach. Hopefully I can avoid the feeling that I’m just talking at you and want to be talking with you. Cheers!